A trip to Whistler, B.C., to ski or snowboard Whistler Blackcomb’s legendary powder is a must for any mountain lover, but the village has a not-entirely-undeserved reputation for being one of the most expensive destinations for winter fun in Canada. To wit: A hotel room close to restaurants and gondolas will run you about $600 a night on a weekend during peak season. And while that’s worth it if you’re the type of traveller who loves the amenities of a full-service hotel, if all you’re looking for is a quiet, comfortable place to crash at the end of a day on the slopes, the Pangea Pod Hotel might be more your style. Slated to open later this year in the heart of the Whistler Village Stroll, Pangea is the brainchild of Russell and Jelena Kling. 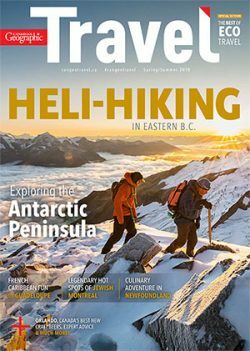 Before settling in Vancouver, the couple (who hail from Cape Town, South Africa, and Belgrade, Serbia, respectively) spent three years travelling the globe. They found that when it came to accommodations, there seemed to be no happy medium between youth hostels and high-priced hotels, particularly in city centres. The Klings’ solution? Pods. 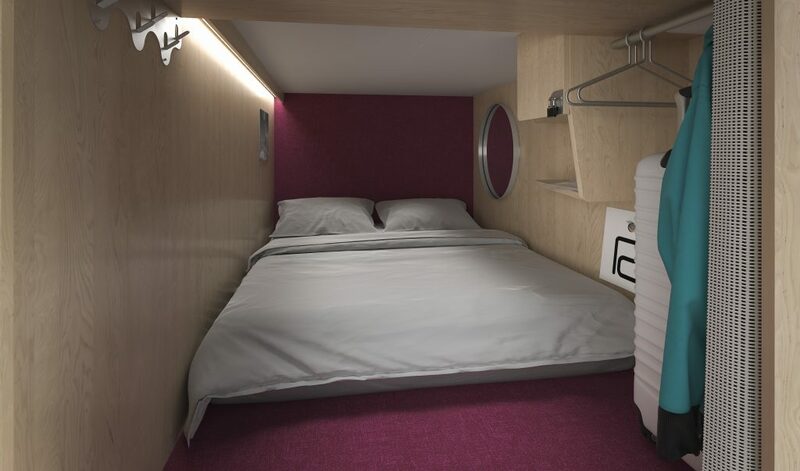 Loosely inspired by Tokyo’s famous capsule hotels, each pod measures just under five square metres and contains a bed, a mirror, a reading lamp, a fan for air circulation and white noise, standard and USB outlets for charging electronics, shelves, clothing hangers and a lockable cabinet for valuables. That’s it. Pangea’s 88 pods are arranged into eight shared suites containing anywhere from six to 18 pods each. Russell likens the suites to hostel dorms, except the pods have privacy curtains and each suite has plenty of washrooms, so guests don’t have to wait to use the facilities (or make the awkward walk down a corridor to shared showers, wrapped in a towel). The Klings wanted Pangea to have the look and feel of a chic boutique hotel, with a strong focus on interior design in the guest and communal spaces. The second-floor “Living Room” will offer a full-service café with a standing bar inspired by European ski chalets, drop-down windows with views of the Village Stroll, and seating areas to eat and socialize. There will also be an all-season rooftop patio — the first in Whistler — with another bar surrounded by mountain views. “We think of the hotel in two parts: sleeping areas that are tranquil and restful, then very vibrant, lively, hip communal spaces so you can come grab a beer or an Americano, have a conversation with someone or Skype your friends back home,” Russell says. And, although rates will fluctuate somewhat based on time of year and between weeknights and weekends, the Klings say a stay at Pangea will never cost more than 50 per cent of a comparably located three-star hotel in Whistler. “If you’re a solo traveller or a group of friends looking to have a weekend away, it’s a no-brainer,” Russell says.